For those already scared of clowns, this will NOT help! 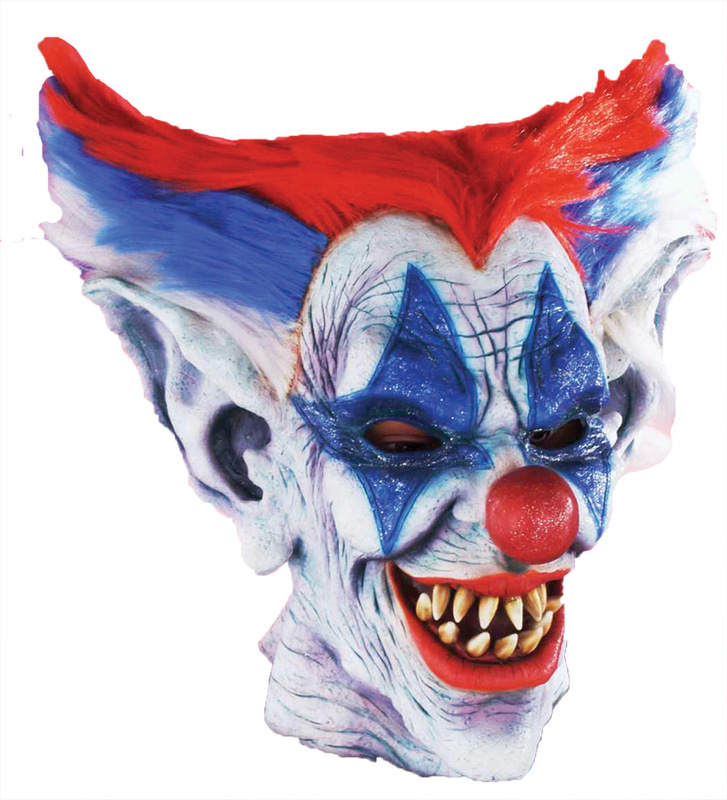 Full over-the-head latex clown mask has a greenish detailed face with wild red, white, and blue hair that sticks out sideways for a creepy look. Terrifying! One size fits most.